Ganga Sagar Mela, also known as Ganga Sagar Yatra or Ganga Snan, is the annual gathering of Hindu pilgrims to take holy dip in River Ganga before She merges in the Bay of Bengal Sea during Makar Sankranti at Sagar Island or Sagardwip in Bengal, India. Ganga Sagar Mela 2019 date is January 15. The day is of great importance to scores of Hindus and Sadhus. People take holy dip on January 13, January 14, January 15 and Jan 16. The Gangasagar fair begins a couple of day early and ends on the day after Sankranti. Hindu pilgrims from India and around the world arrive at Sagar Island to take a holy dip in sacred waters of Ganga River before She merges in the Bay of Bengal. Thousands of Hindus take holy dip at the auspicious time on Makar Sankranti day morning and offer prayers to Lord Surya (sun god). 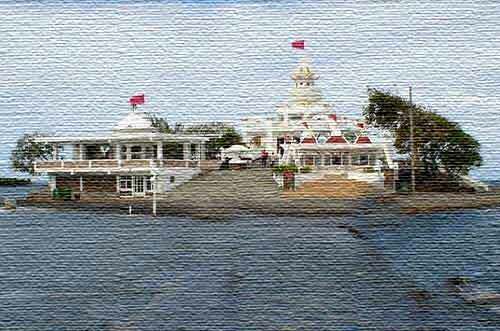 The holy dip is believed to wash the sins away and lead to the attainment of Moksha. After performing Ganga Snan, pilgrims visit the Kapil Muni Temple situated nearby. This is an ancient temple and is one of its kind in India. Devotees start to arrive in the first week of January and the venue attracts maximum pilgrims on the Makar Sankranti day. Accommodation for pilgrims is provided on the transit camps set up on Sagar Island.